To accommodate different workflow preferences, Symphony I/O Mk II Thunderbolt features optional direct hardware monitoring through Symphony Control Software with 0.6ms of latency. Symphony I/O Mk II Thunderbolt’s custom driver includes a revolutionary Direct Memory Access (DMA) engine to more efficiently read and write data directly to Mac memory independent of the Mac CPU. 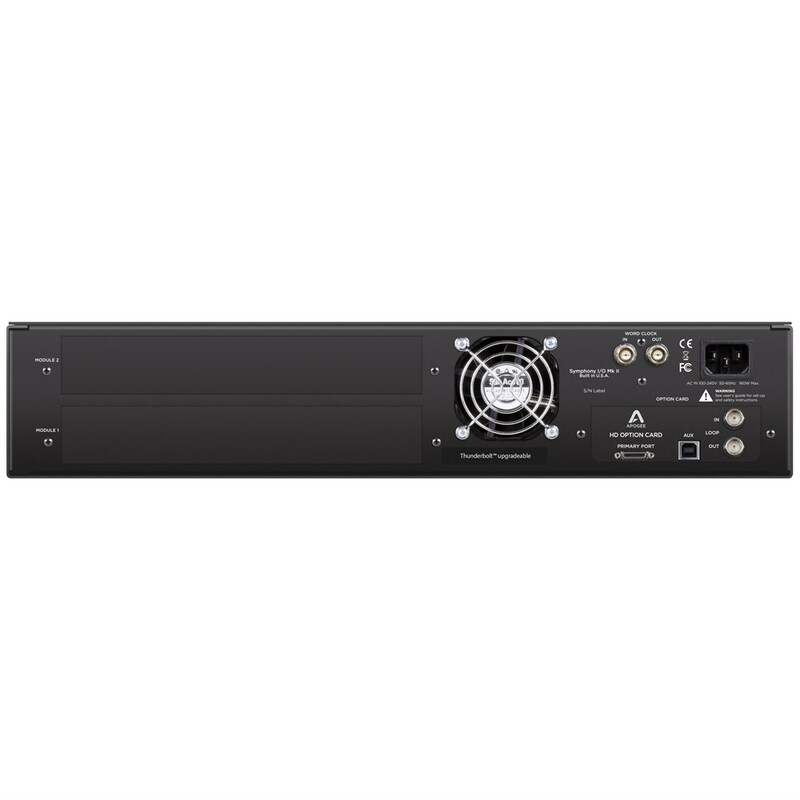 The DMA engine, running on Symphony I/O Mk II Thunderbolt’s hardware logic chip, increases the driver’s efficiency and provides the highest resolution signal possible to the DAC stage. This implementation allows the driver to crunch an enormous amount of data at an amazing speed, while making a very light demand on your Mac CPU. You benefit with lower latency, more plug-in power, and a transparent and encompassing listening experience. Symphony Control has been built from the ground up and replaces Apogee’s Maestro software for Symphony I/O Mk II users. Symphony Control delivers all the functionality of Maestro in a new, highly customizable user interface along with innovative new features like Talkback functionality, the simplified “Essentials” control window and an FX Send mixer feature, recently introduced as part of the Element Control software. Symphony Control also features compatibility with the new Apogee Control hardware remote. Apple Logic users with the 8-channel mic preamp module can adjust hardware input parameters including mic pre gain, input type selection, phase control, and more directly from the Mixer view in Logic Pro X or the Logic Remote App on iPad. This simplified user experience lets users have complete visibility and control when recording to remain in their creative element.